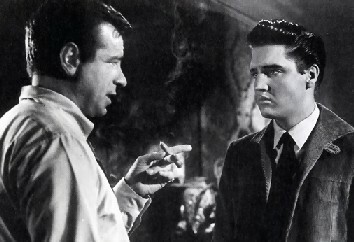 KING CREOLE is cited nowadays as ‘the best’ Elvis movie. It’s not the most fun: that would be Viva Las Vegas. It has some good musical numbers, but nothing to top Jailhouse Rock. And it doesn’t have the scenic values associated with numerous lesser Elvis travelogues (songalogs?). Elvis was learning, giving it a good try; he’d be better a few years down the line in Flaming Star. In his fourth time at bat, still wild and untamed at 23, what he lands in this feature is a decent director (veteran Warner’s warhorse Michael Curtiz), a fairly literate background script (from “A Stone for Danny Fisher” by Harold Robbins—if you can stretch ‘literate’), and a dandy supporting cast. 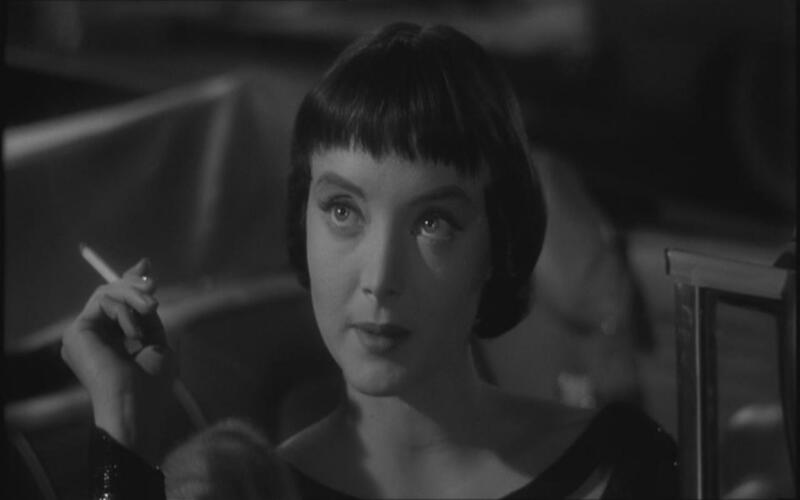 ‘Ya got Carolyn Jones, (beat hairdo, tight dresses, minxing wanton in her pre-‘Morticia’ life)), Walter Matthau (sneering meanness in his pre-lovable villain days), Dolores Hart (honest emotion registering in those great eyes, in her pre-Sister days—yes, as in ‘nun’ ) and Vic Morrow (punk + switchblade tour of duty, pre-Combat glory). Oh, yeah, Dean Jagger (wake me up after I say his name), Liliane Montevecchi (French+hot legs that eluded movie stardom and headed for great success in live stage work) and Paul Stewart (have another smoke). Curtiz didn’t think he’d like Presley, but the Hungarian slave-driver praised the kid’s decency and work ethic, and he got cameraman Russell Harlan to give black & white film noir shading to the New Orleans settings as Elvis dares to rise above his station by belting out hits in smoky nightclubs, making time with loving Jones and sweet Hart, trading socks to the kisser with Walter and Vic. She who would tempt Elvis. Presley works it, though he still needed to loosen up. 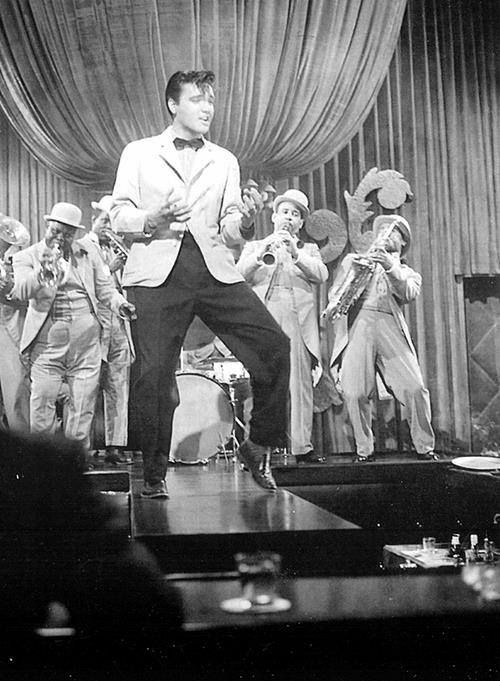 Thing is, the movie chiefs knew they had a moneymaker but it wasn’t just that they needed to train him: they didn’t grasp how to capture him–witness the coverage of the performances—he’s rocking the joint with classic leg-shakin’ glory in “Hard Headed Woman” and “Trouble” but the framing and blocking is from Squaresville. The audience sits there, politely snapping fingers instead of ripping up the dance floor like this ‘sensation’ (indicated in the script, reality in the outside world) would provoke.